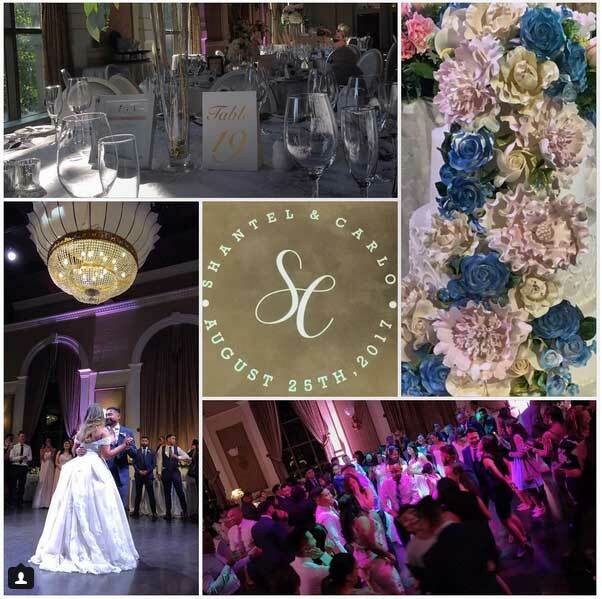 Checkout this Summer Wedding at the Toronto Hunt Club! 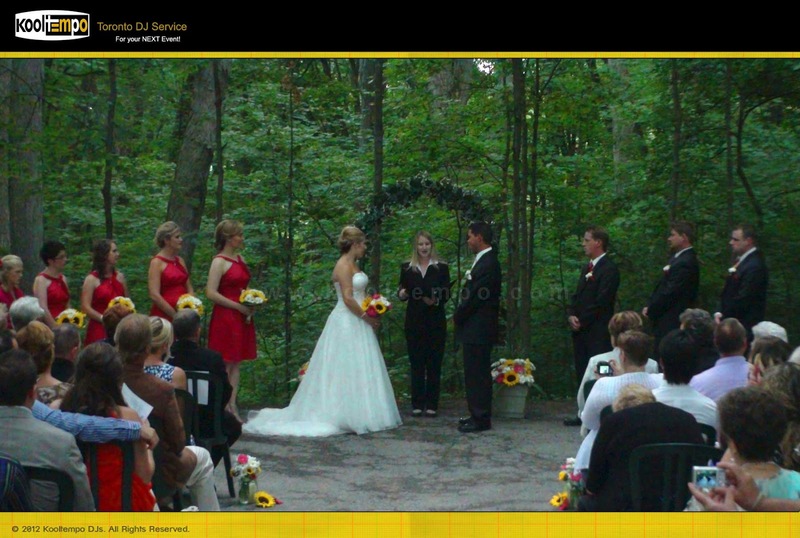 The Outdoor Ceremony was simply perfect with awesome weather that made sure of a stunning backdrop of the lake. 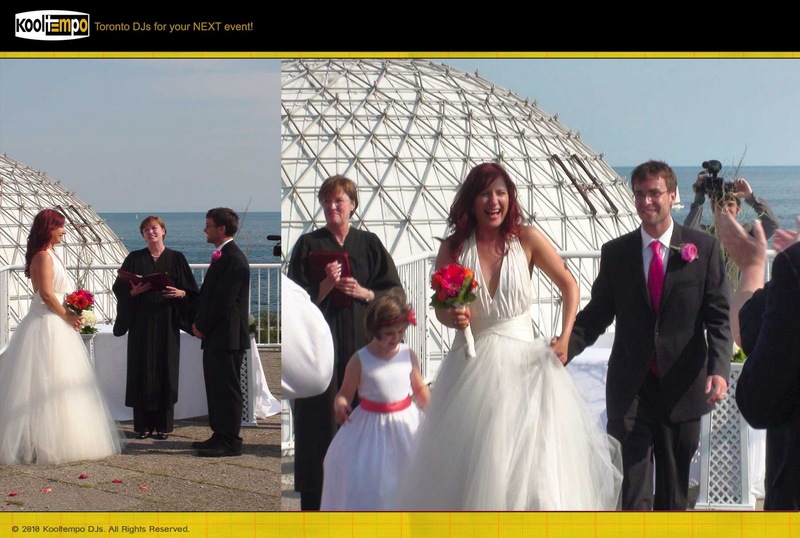 Although it was a bit windy, the guests loved the ceremony. 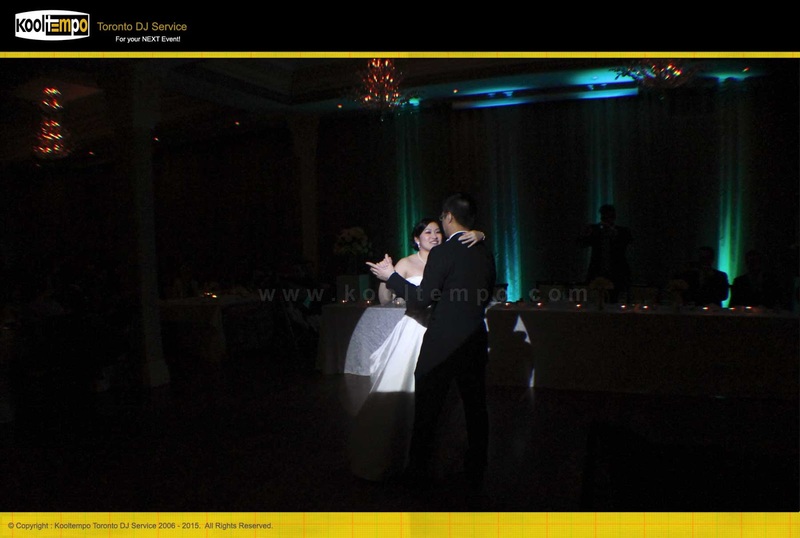 The ceremony music was provided by Kooltempo Toronto Wedding DJ Services along with a Live Sing Quartet! 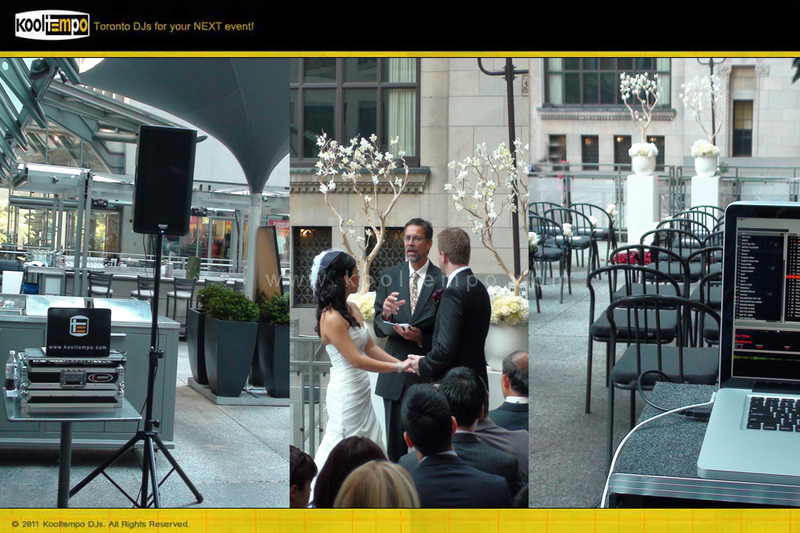 Following the cocktail hour the guests made their way in to the main reception area. 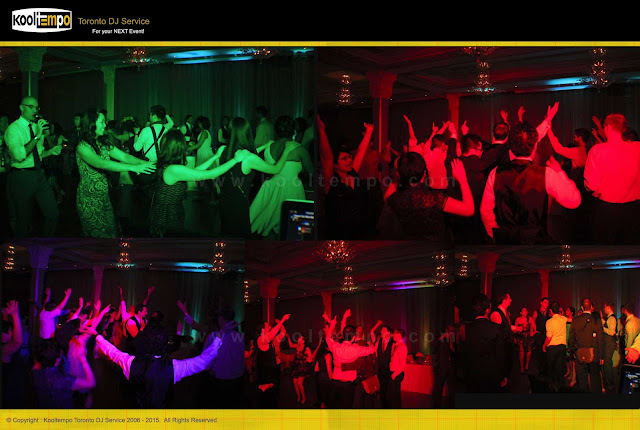 Guests enjoyed the dinner & speeches and the Dancefloor opened at approx 9pm and was packed. 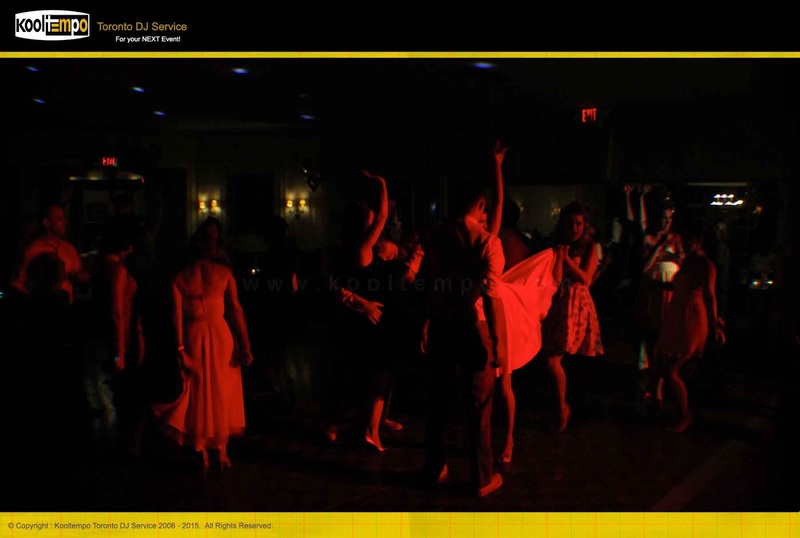 Kooltempo Toronto Wedding DJs started the evening with some classic oldies as requested by the Bride & Groom followed by 90's Pop Hits, Hip-Hop and Top 40. The Dancefloor was packed & everyone had a great time! 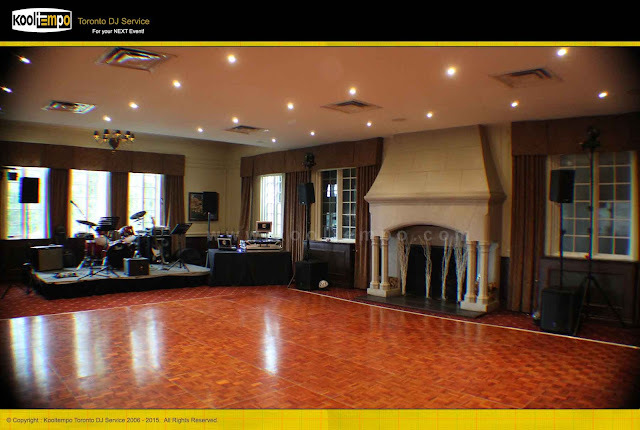 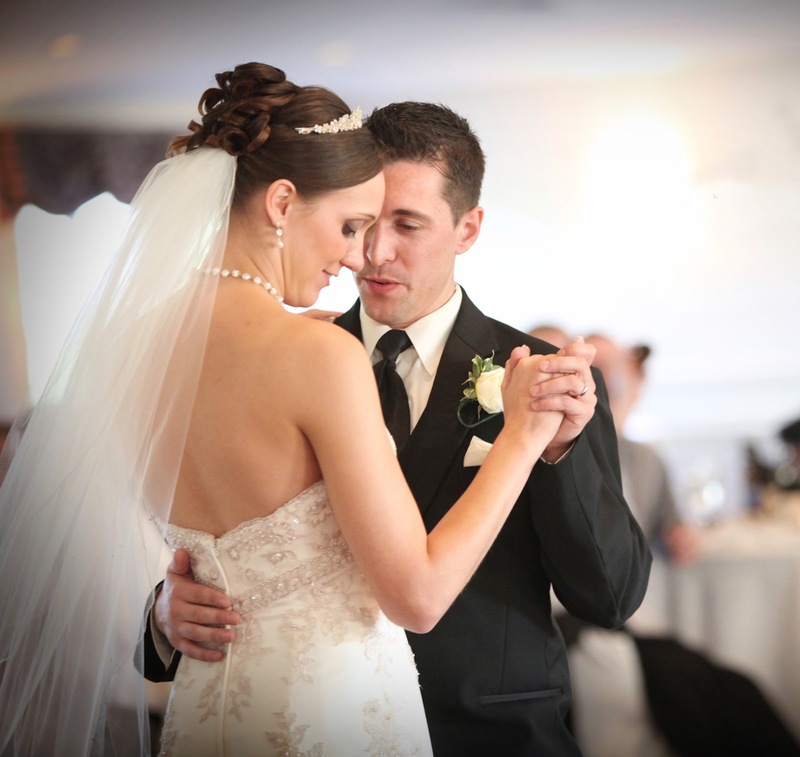 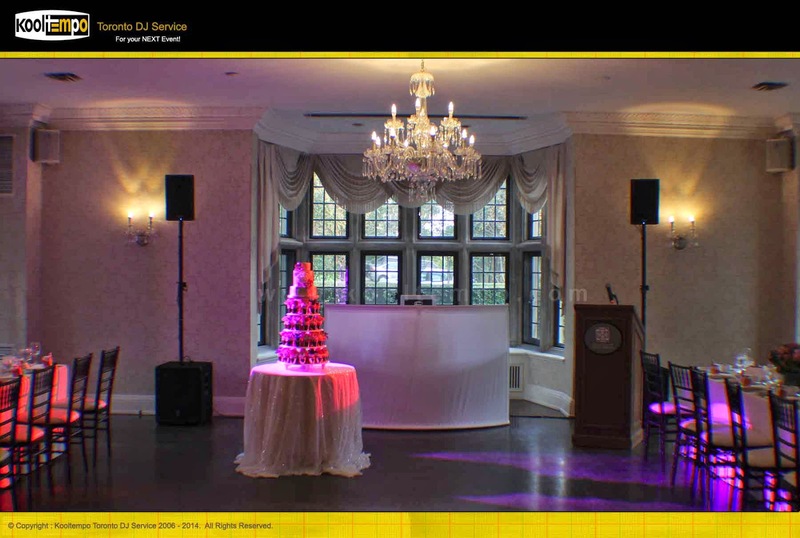 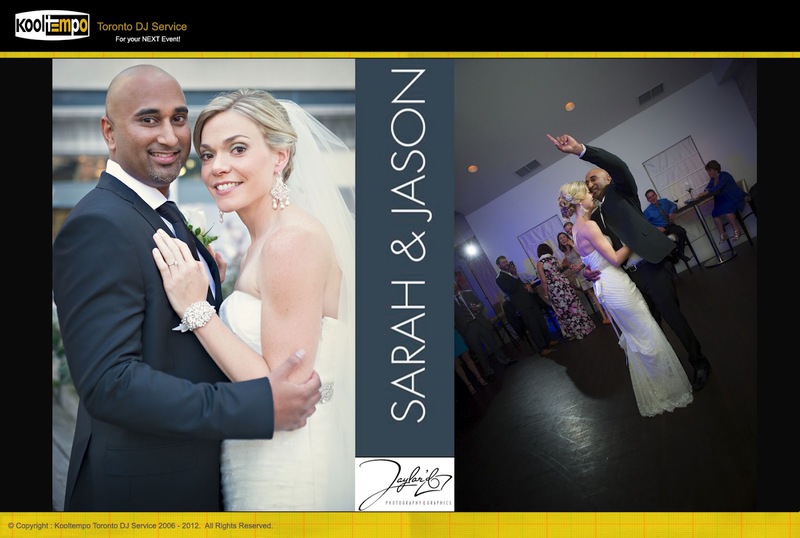 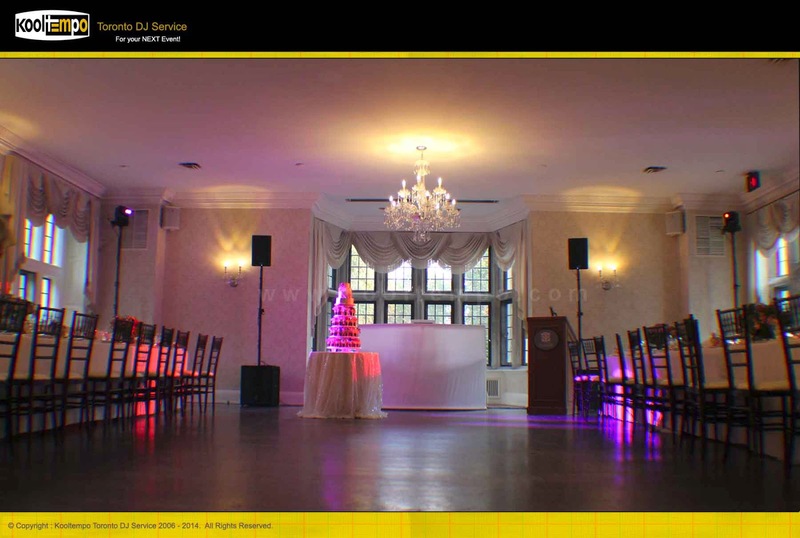 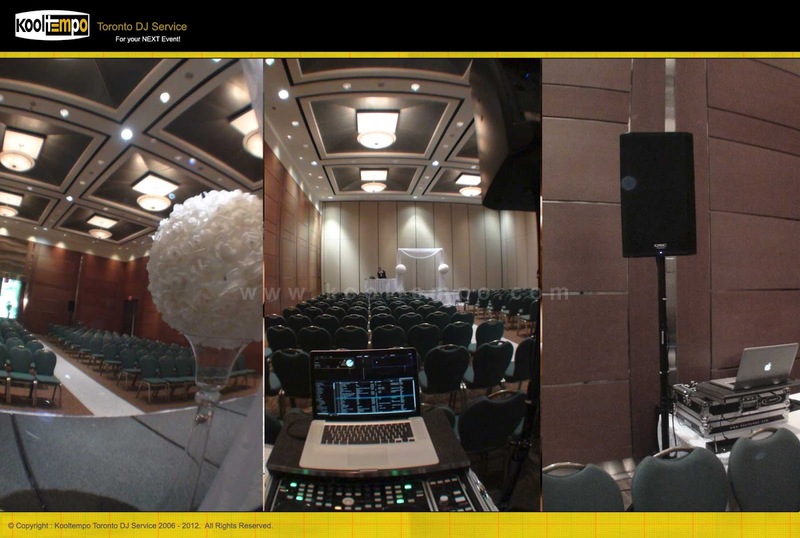 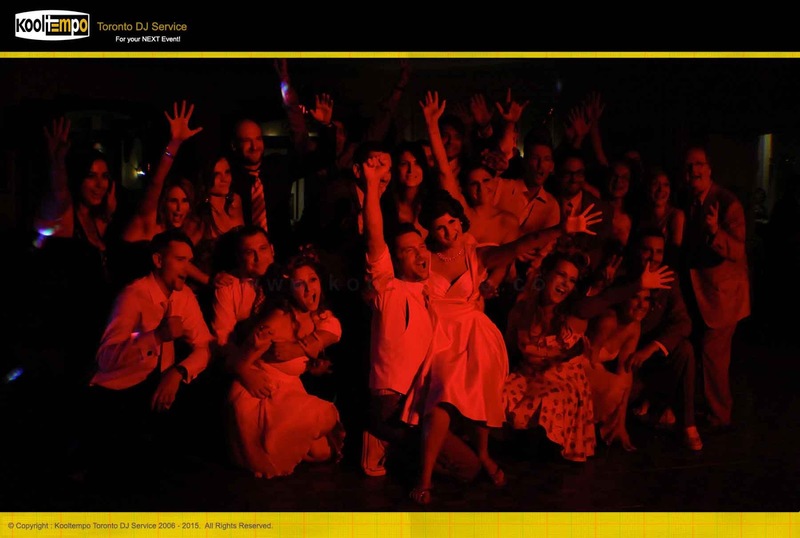 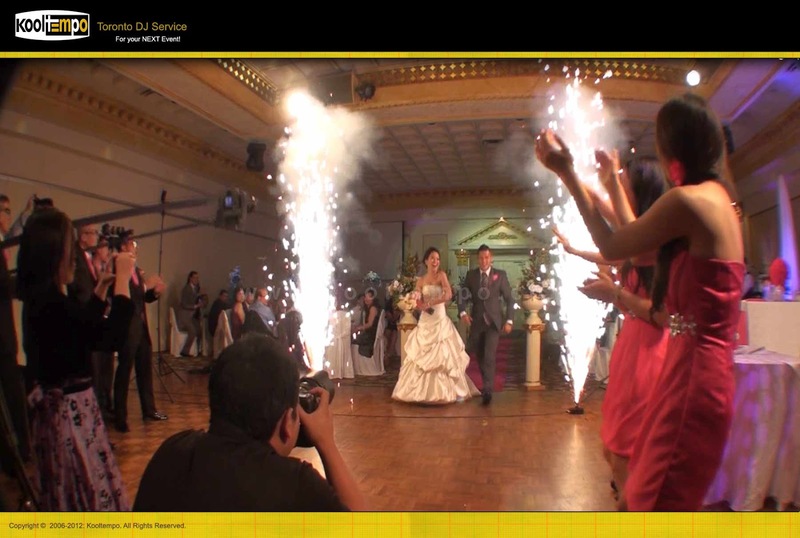 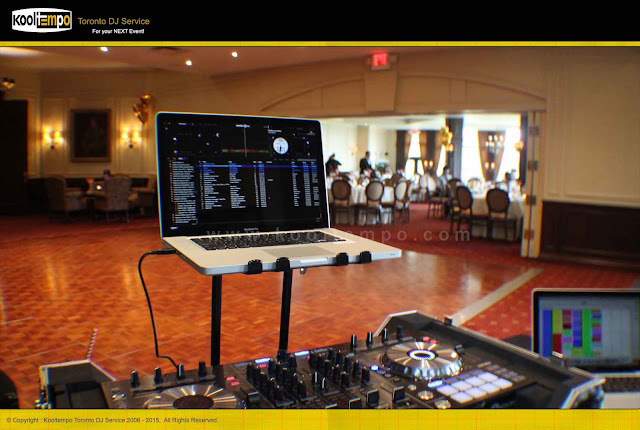 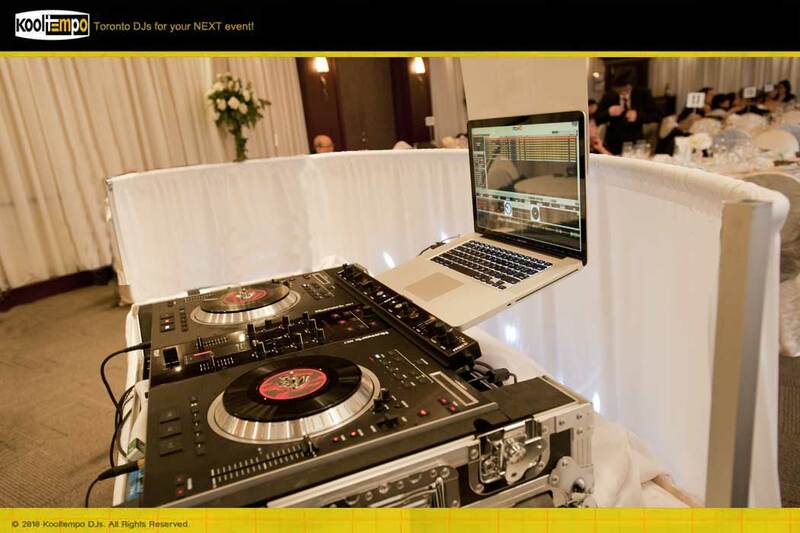 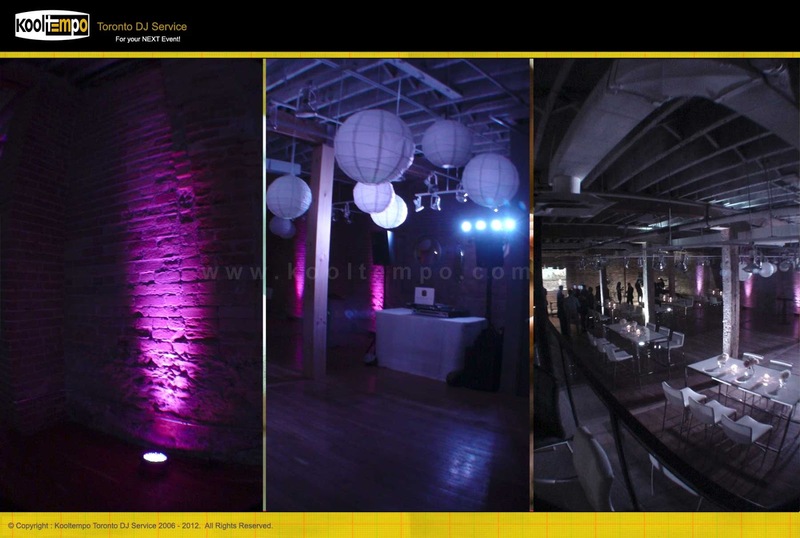 Contact us if you are looking for a Toronto Wedding Dj to Celebrate your Special day! 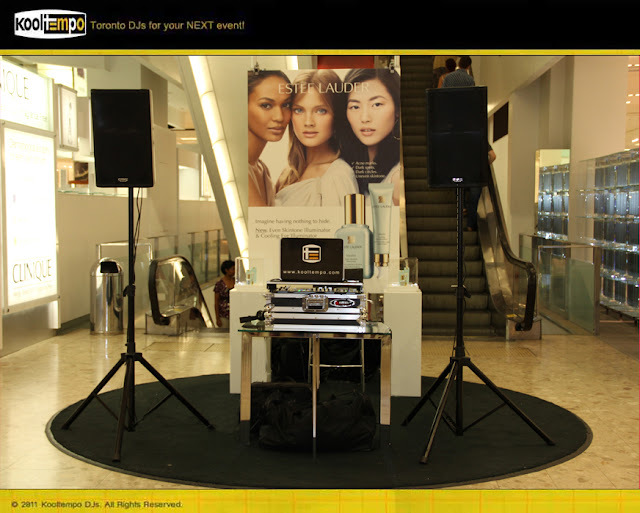 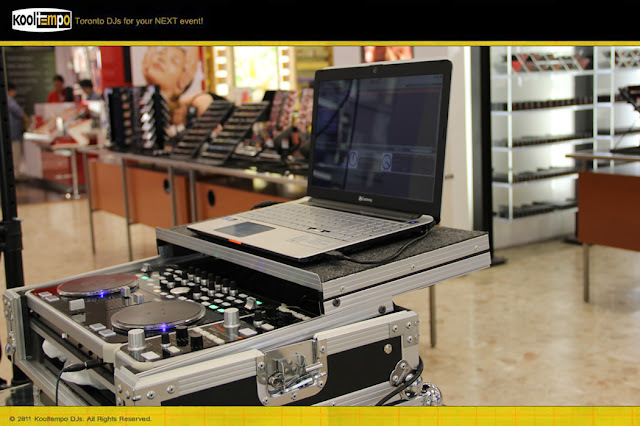 Checkout a Product Launch by Estee Lauder at The Bay Flagship Store in Toronto by Kooltempo Toronto DJ Services. 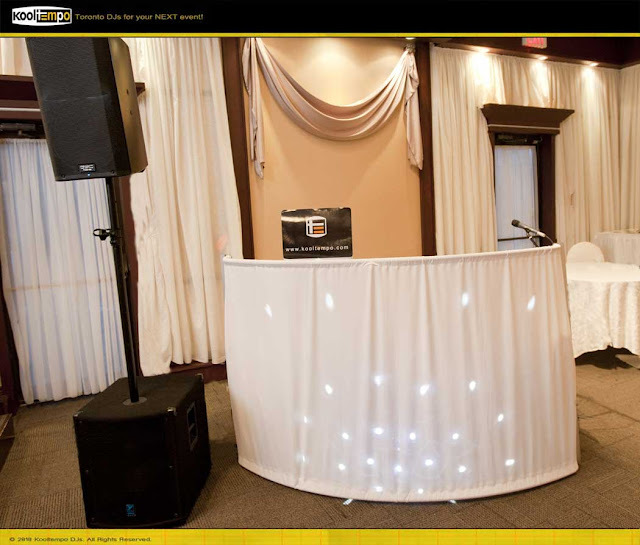 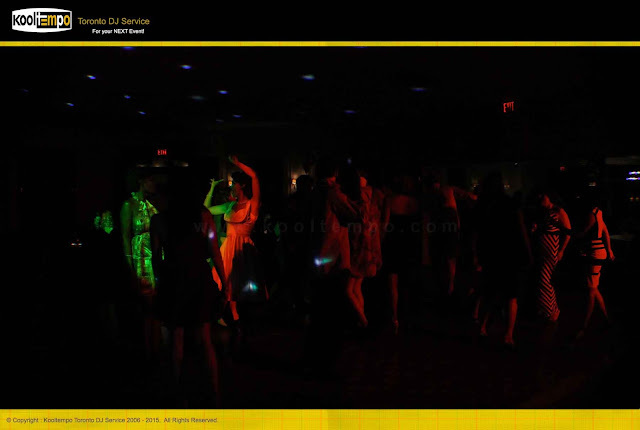 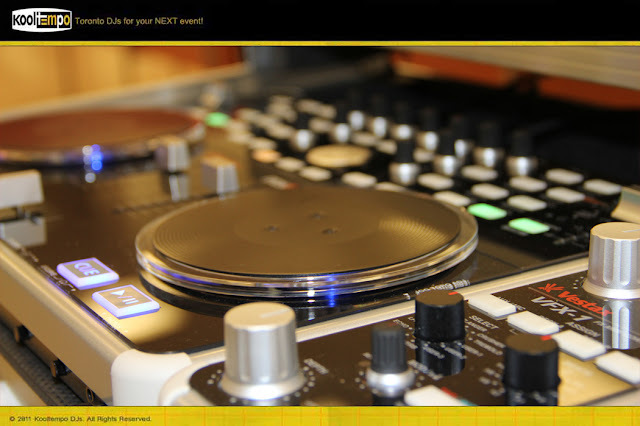 At Kooltempo Toronto Corporate DJ Service we use only the best top notch equipment. Whether your event is a Wedding, Private Party, Prom / School Dance or Corporate event, we place same level of importance when setting up our equipment. 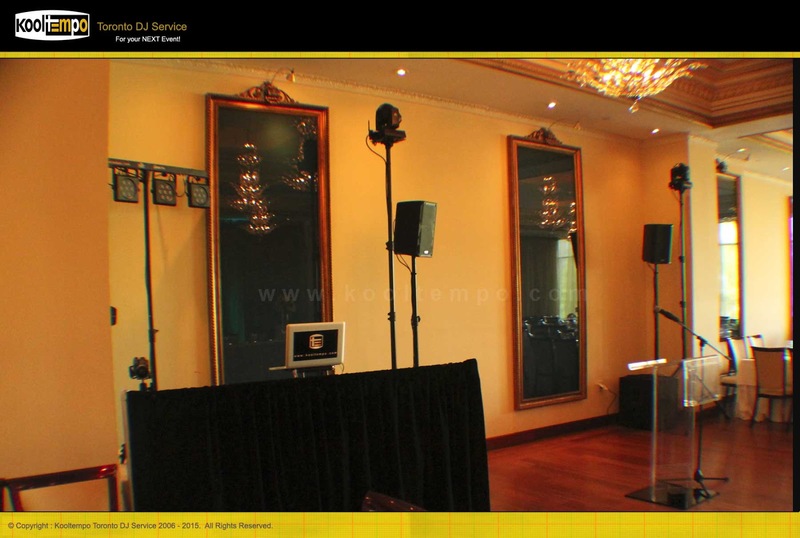 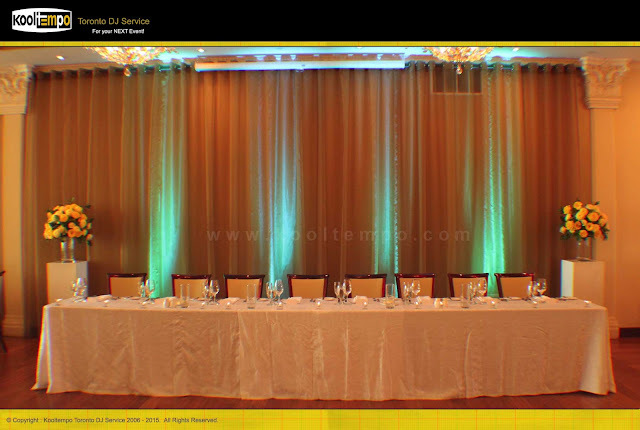 When we set-up our equipment we try to complement our setup to your theme or decoration for an elegant look. 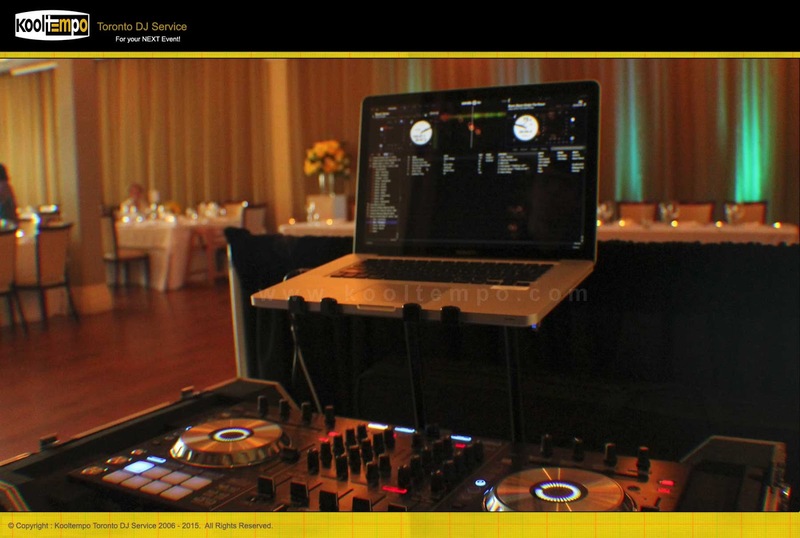 This is the 6th wedding we are DJing at St. George's Golf & Country Club for this year. 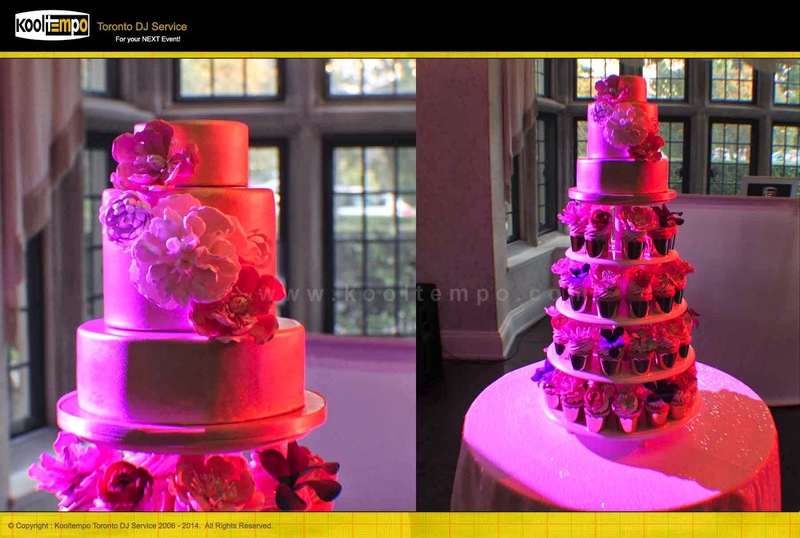 The Bride & Groom selected a 'Vintage' (50's-60's) style wedding theme. 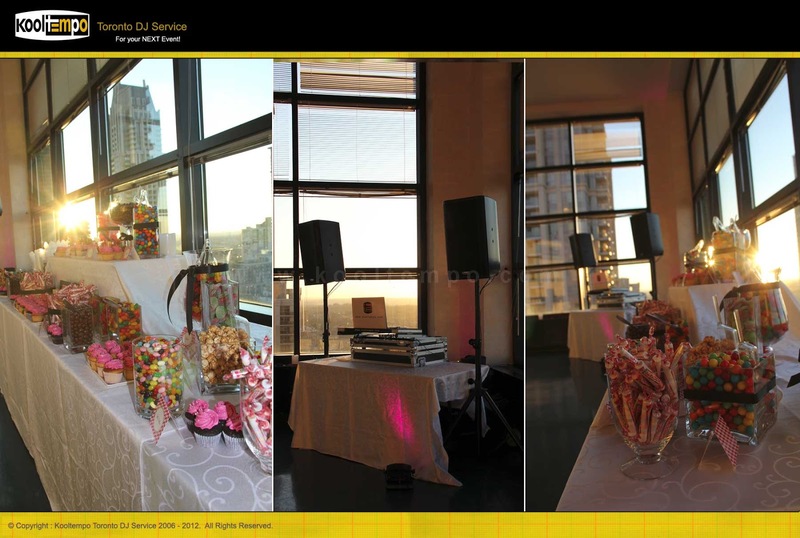 Therefore all decor along with music was in line with a vintage theme. 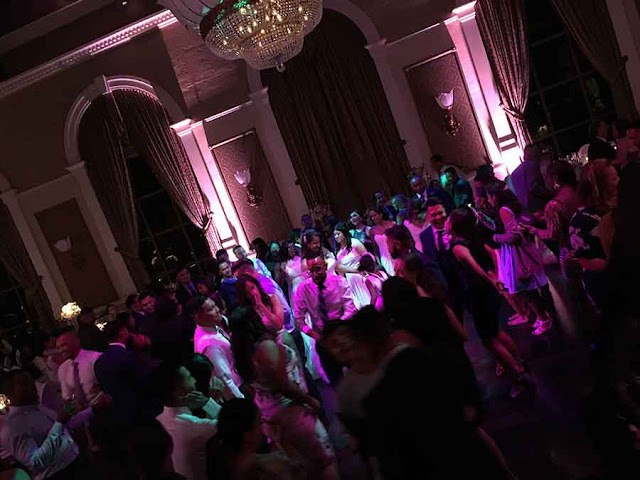 The Wedding Party and the couple introductions were done by the MC and they all entered for the same song 'Let's Twist Again'. However what was unique about this introductions was that the individual couples were not announced and the wedding party just stormed in to the reception hall doing the "Twist" which is quite unique to that of other Toronto Weddings we DJ.